Learn more about the UNC School of Media and Journalism Ph.D. and Masters Programs. M.A. and Ph.D. students working with me pursue a range of different research projects at the intersection of media, movements, and politics. In addition to receiving the core of their conceptual and methodological training in the School of Media and Journalism, students take a range of courses in the Sociology, Political Science, and Communication departments. There are a number of opportunities for students to conduct original research outside of the M.A. thesis and Ph.D. dissertations. 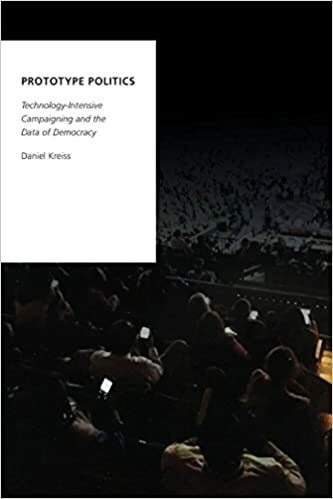 During the past few years, I have worked with students on an analysis of the professional careers of 629 digital, data, and analytics staffers on presidential campaigns and firm founding in the Republican and Democratic Parties (The New York Times covered it here), a five-day field observation of the 2016 Democratic National Convention in Philadelphia, PA and the 2012 Democratic National Convention in Charlotte, North Carolina; a three month ethnographic study of the 2012 campaign to defeat the anti-gay Amendment One in North Carolina; an interview-based survey of the evolution of online political advertising over the last decade; and, an interview and public document-based analysis of new media during the 2012 presidential campaign. Ph.D. and M.A. students are pursuing a range of projects that explore, primarily through qualitative fieldwork, how shifts in media technologies shape political processes – defined broadly.